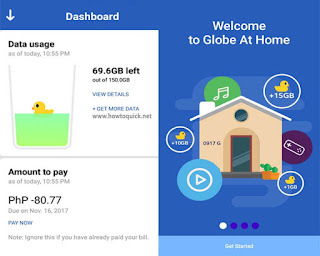 If you have a Globe wired or wireless broadband DSL at home and you want to know your remaining monthly data usage, you can now do it right on your smartphone without calling their hotline. No need for you to wait for an SMS text from Globe just to check your balance and to how much data left on your account. 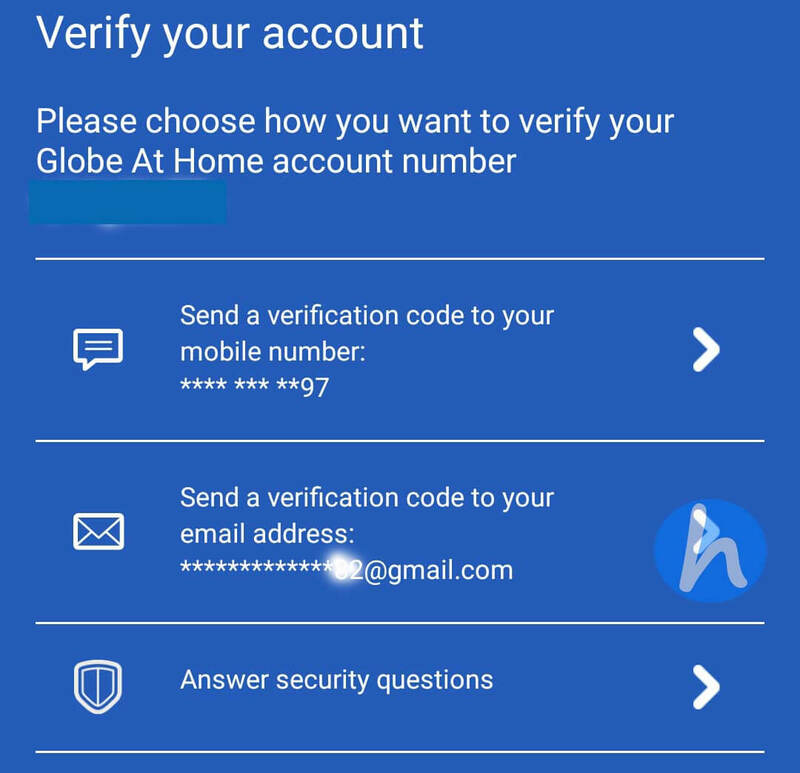 This is one of the very important feature that a Globe subscriber or costumer needs to know. As our ISP’s (internet service providers) started to offer volume-based data plans, most of us are worried and want to monitor our daily bandwidth to make sure we it will last up to the end of the month. We don’t want to reach 80% of our monthly internet data allowance to reach early as we will suffer the Globe FUP (fair use policy) that reduces your internet speed to 30% or below than your normal availed plan. 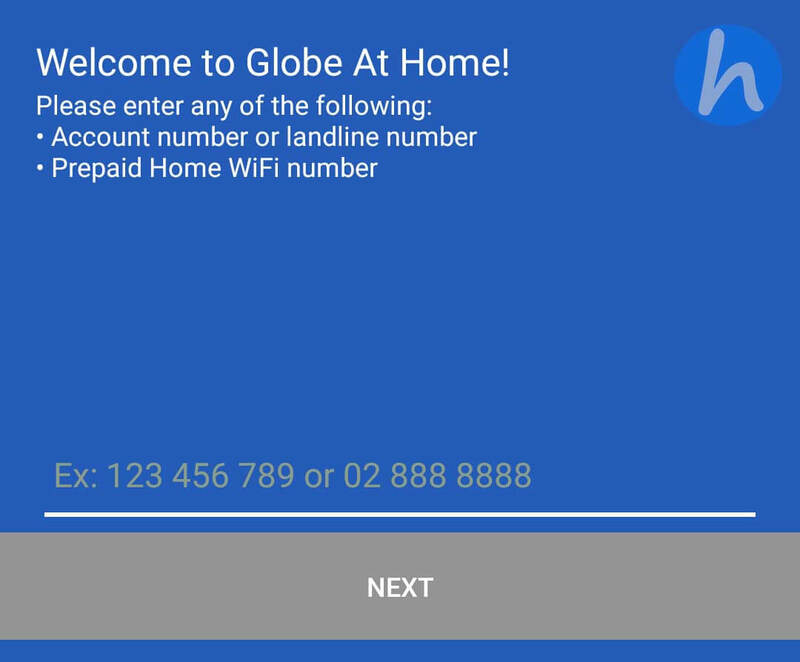 This method may work on all Globe internet plans (wired, wireless LTE modem + landline, postpaid, Globe Tattoo etc.) as long as you know your account number. If you are not familiar with your account, you can check it on your monthly billing statement sent to your email address. Just look at the upper right corner of the PDF copy of your bill and find the digits or account number. Once you have that, you can now proceed with the steps on how to do a Globe DSL balance inquiry below. Click Next to verify your account. You can send the verification code to your mobile number or through your email address. Enter the 4-digit PIN code sent to your email or mobile number. You only have limited minutes to enter the code before it expires and you can resend again if that happen. 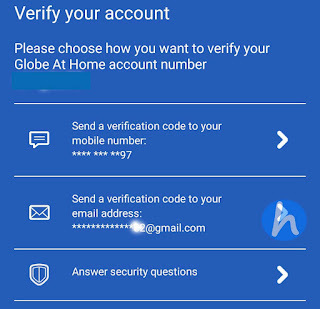 Nominate a 4-digit PIN to secure the installed Globe at Home app. Next is customizing your profile by adding a nickname and avatar of your account if you wish. You can skip this step if you want to set this thing up later. Go to dashboard to view complete details of the plan including the data usage. 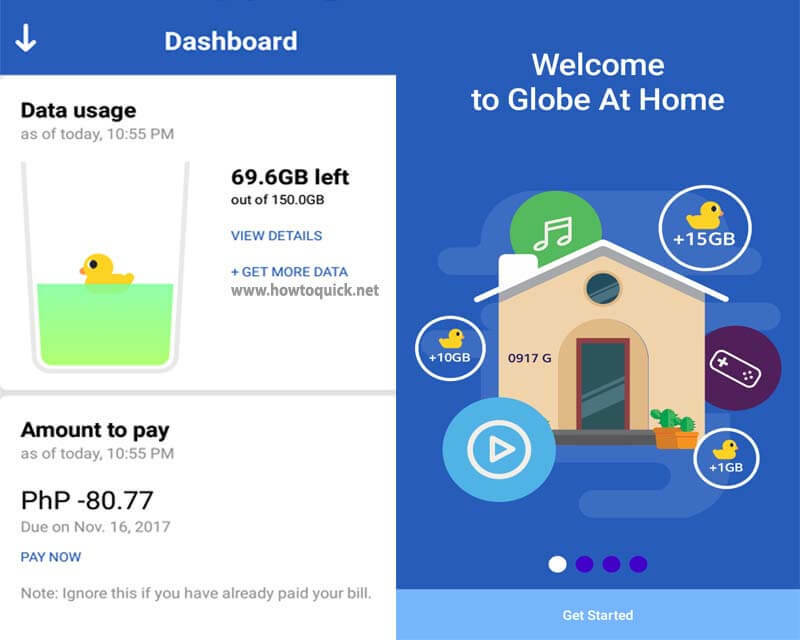 After completely doing all the steps above, you can now check and view the details of your data usage by simply opening the Globe at Home App on your smartphone. 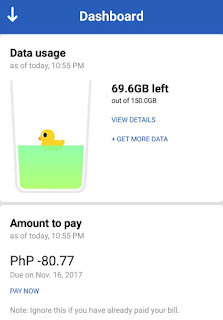 The good thing when using this app aside from instant data balance inquiry is that you can also boost your volume without even calling the Globe hotline or filling up any form online. Just go to menu, and then click the “Get more data” option to know the available Volume Boost offers for your account. For wired and wireless broadband subscriber, you have 50GB up to 1000GB available from Php99.00 to 999.0 pesos. 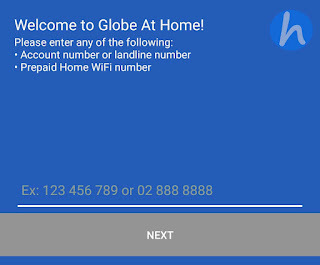 Globe Home Prepaid Wi-Fi subscribers can also avail the HomeSurf15, Home Surf 349 to 599.